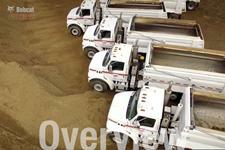 Digging cycle time can mean the difference between hitting and missing a deadline. 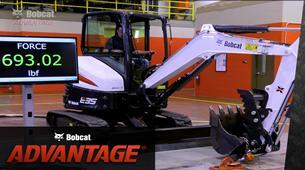 That’s why Bobcat® compact (mini) excavators are designed with advanced hydraulics for faster digging. 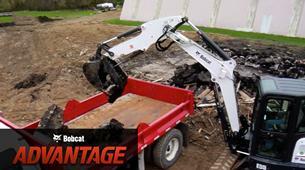 They’re also designed to dig while under load. 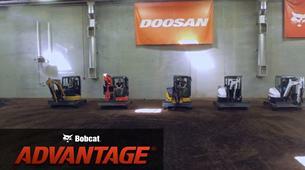 Caterpillar®, John Deere, and Kubota attempt to deliver the same performance, but their hydraulics just can’t keep up. 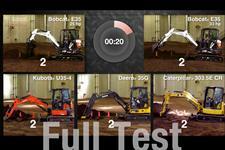 Watch the test to see for yourself. A digging cycle is the amount of time it takes you to dig your bucket into the ground, filling it with material, unloading it, and finally returning it to the face. It directly determines how much material you can move in a day. 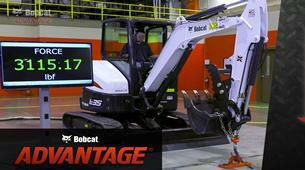 For you, faster digging cycles from your machine mean more profit in your pocket. 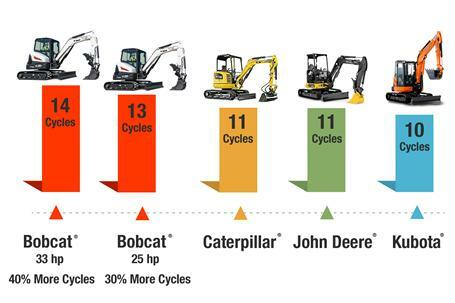 When considering digging cycles for each brand of excavator, a difference of a few cycles may seem insignificant. But over time, it could mean a significant difference in your productivity. 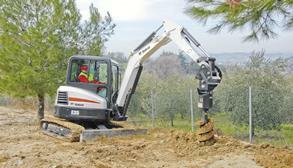 Which brand of compact excavator can dig the most in a day? Watch the test results to find out. 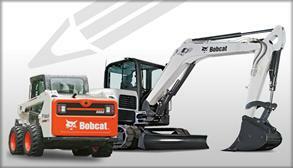 Bobcat compact (mini) excavators are designed for every spec to work together. 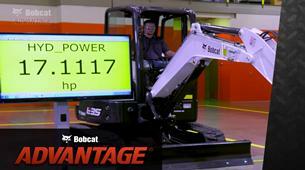 For you, that means better performance and faster cycle times. 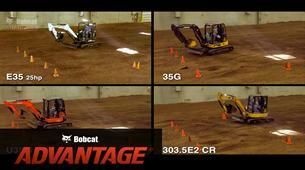 Caterpillar, John Deere, Kubota, and Bobcat excavators completed a two-minute digging challenge and the results speak for themselves. 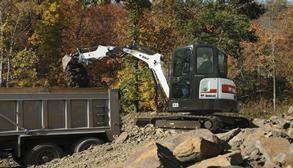 When compared to other brands, Bobcat excavators delivered up to 40 percent more cycles. Over the course of a day, a week, or a month, that difference will positively impact your productivity. 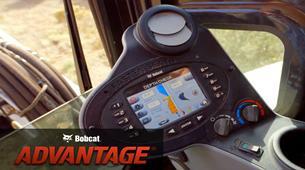 Bobcat compact excavators deliver the house, boom, arm and bucket control you expect in the most challenging work environments. 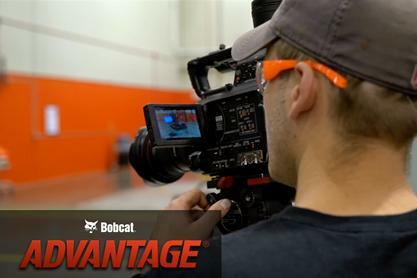 It’s the confidence in these precise movements that determines whether you complete the job using your machine, or with two workers and a pair of shovels. 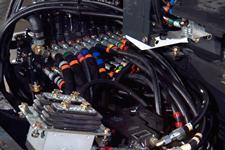 This predictable control is delivered through exclusive control valve systems and torque-limiting piston pumps that match force with demand.